If you or a loved one had be bitten or attacked by a dog or other animal, you need the help of the Grand Rapids Dog Bite Attorneys at Krupp Law Offices PC. We can answer your questions and explain strict liability of the dog bite statute. When search for an attorney, often times people resort to reviews. Unfortunately, online reviews have their problems. First, the vast majority of clients or customers that are happy do not take the time to post a review unless they are specifically asked. Additionally, people that leave reviews often time are the very few that are unhappy or unreasonable and use reviews as a way to attack a very good attorney or business. Lastly, some reviews are fake. 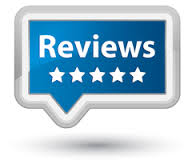 As a result, do not completely rely on reviews to select a business or attorney. Use your own judgment.